What will happen to my mortgage? Home » Sacramento Real Estate Blog » House Selling Guides » What will happen to my mortgage? Life has many events that can impact your mortgage. Depending upon the event, it may have a negative or positive change in your mortgage. You may have inherited a home. Your spouse may pass or you might go through a divorce. Maybe you’re simply thinking of moving and selling your home. If you are experiencing one of these major life events, you may be wondering “What will happen to my mortgage?”. Before we answer any of these questions, let’s see if we can simplify some of the overly complex jargon surrounding mortgages. A mortgage is simply a document that protects the lender in the event the borrower fails to repay a loan. When you borrow money to purchase your home, you sign two documents – a promissory note and a mortgage. Most people consider them to be identical. However, they’re slightly different and it’s important to understand the differences between them. 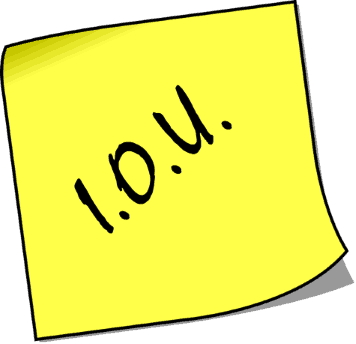 The Promissory Note is an IOU. It contains the amount and terms of the loan. This document contains the interest rate, and how much time you have to repay the loan. It also specifies the frequency and amount of your payments. However, just because someone promises to pay back a loan, doesn’t mean they will. Have you ever loaned five dollars to a friend who promised to pay you back, but didn’t? Five dollars isn’t much, but when it’s several thousand, the lender needs something more than a promise to make sure they get paid back. Your mortgage pledges property (real estate) as security for the lender’s money. Typically, this is for purchase of the same property that secures the loan, but not always. Your mortgage is separate from your loan. The mortgage is the document that protects your lender. It allows the lender to sell your property in order for them to reclaim their money. But only in the event that you do not meet the terms of the promissory note. To protect you and your home from unscrupulous lenders, you must sign the mortgage, and your signature must be notarized. It is then recorded in public records, for everyone to see. When the lender’s money is repaid, your mortgage ceases to exist. But what happens when you experience one of the many life events we mentioned earlier? What happens to my mortgage when I sell my home? Short Answer: When your home is sold, your previous loan will be paid off and your mortgage will typically end. Explanation: When you sell your home, the title company or an attorney will help you with removing your mortgage. They are responsible for taking the money you receive for the sale of your home, and paying back the mortgage. When your lender receives their funds back, they sign a re-conveyance. A re-conveyance states that the lender has received all of their money back. The re-conveyance ends the mortgage and is recorded in public records. This tells everyone that your loan has been repaid and your mortgage no longer exists. In some cases, buyers may offer to purchase your property while leaving your existing mortgage in place. The buyer promises to continue to pay your mortgage, even after you have sold your home. During the 1980’s it was not uncommon for people to legitimately assume loans. When a loan is assumed, the new buyer contacts your lender and requests to take over your loan. If approved, the new buyer assumes the responsibilities of the previous borrowers. Warning: Be very cautious about selling a property to anyone who promises to take over your mortgage payments but doesn’t want the bank to know. There have been many real estate scams over the years from unscrupulous people wanting to buy real estate “subject to” to the homeowners existing loans. Often these people took a weekend, no-money-down, real estate seminar that told the attendees they could buy houses without any money. Many of these scammers are now serving time in prison for defaulting on their promises to pay these loans. When the scammers defaulted, the original owners were left with ruined credit and no home. Mortgages cease to exist when the loan is paid off. However, what happens when the borrower passes away before the loan is repaid? One of the purposes of a mortgage is to guarantee the lender the ability to be repaid, should the borrower become unable to repay the loan. In addition to the loss of your family member, this can add additional stress to your life. However, you may have more challenges than just continuing to pay the mortgage. The problem arises when the deceased was the only name on title for the property, and the property is not in a trust. When this happens, the title or ownership of the property will be change. A change in ownership can trigger an “acceleration clause” or “due on sale clause” that exists in most mortgages. This clause simply says that if the ownership changes, the bank has the right to demand the loan be fully repaid immediately. The important thing to understand about this clause, is it gives the bank an option to be repaid sooner. However, your lender may not even pursue early repayment. Realistically, most lenders and loan servicing companies will not be looking for ownership changes. Their budgets simply don’t have people looking for this unless there is a red flag, such as a missed payment or property insurance change. Besides, the ownership change does not violate the mortgage. It simply gives the bank the right to be repaid sooner. It is our opinion, that it is in your best interest not to notify the bank of a change in ownership; unless you intend to sell the home quickly. Keep paying the mortgage, property taxes and insurance as though nothing has changed. This avoids raising a red flag, and the bank potentially considering asking for an early payoff of the loan. If you do wish to speak to the lender, we have found that smaller regional banks will typically be very understanding of your situation. These smaller community oriented banks will often work with you as you make arrangements to sell the property. However, our experience has been that some of the larger nationwide banks use the opportunity to levee extra fees. The one exception to the typical mortgage, is a reverse mortgage. In a normal mortgage, the homeowner makes payments to the bank in order to ultimately own the property. With a reverse mortgage, the bank makes a series of payments to the homeowner, in order for the bank to ultimately own the property. This series of payments continues as long as the homeowner is alive. It literally is a mortgage in reverse. A traditional mortgage ends when the property is paid off. However, a reverse mortgage ends when the homeowner dies, and the property is transferred to the lender. The heirs can also purchase the property from the lender. The benefit of this is the heirs will never pay more than the house is worth. Some reverse mortgages may even transfer when the borrower is placed in a long term care home. Since reverse mortgages vary from lender to lender, you need to review your reverse mortgage for specific details. What happens to the mortgage after my spouse dies? This depends a lot on who’s name is on title and the mortgage. Typically, the names match. If this is the case, you probably won’t need to do anything other than continue to pay the loan. However, if you need to contact the bank, be prepared to provide a copy of your spouse’s death certificate to the lender. If you want to put the title in your name only, then an attorney or your local title company can help you. They will complete a Death of Joint Tenant that will be recorded in public records, transferring sole ownership to you. If the mortgage is a reverse mortgage, you may continue to live in the house until the last borrower dies. The terms of your reverse mortgage will not change and you will continue to receive your payments as long as you live in the home. What if my name is not on the mortgage? This is a great question. Most couples have both of their names on the title of the property, but not always. If your name is not on title, but the property is in a trust, there should be no problem because there’s no ownership change. What if you still want to keep the property, but your name is not on title for the property, and it’s not in a trust? Then you need to keep making your mortgage payments on time to avoid foreclosure. Again, you may want to avoid saying anything to your lender about your spouses passing, unless absolutely necessary, so that you do not trigger any kind of acceleration clause. If you need to speak to your lender, be sure to have a copy of your spouse’s death certificate available to send to your lender. Your lender will require a copy of your spouse’s death certificate before they will speak with you if your name is not on the mortgage. What if I’m looking to sell my house after my spouse dies? If you are looking to simply sell your home, then the title company or attorney will file any papers that need to be processed during the escrow process. Normally, this will be a Death of Joint Tenant. The Death of Joint Tenant transfers ownership upon death when there is more than one owner on title. In addition, you are probably exempt from any federal or state income taxes on the sale of your home. The IRS allows a couple to exclude up to $500,000 from taxes on the increased value of their home. For example, let’s say you and your spouse bought your home for $100,000 many years ago. Now you wish to sell it and your real estate agent tells you it’s worth $600,000. Because of this exemption, you will not pay any taxes on the increased value of your home. No one starts off a marriage with the plan of getting divorced. However, couples do divorce and often they own a home together. Solving the dilemma of what to do with the house, can add to an already difficult situation. It’s important that divorcing couples are able to separate from each other’s financial obligations without risking their own credit. It doesn’t matter what the parties or divorce decree states. If one party fails to pay the mortgage or files for bankruptcy, the other party’s credit will be impacted. The only guaranteed way to do this is for one or both parties to have their names removed from the mortgage. Unfortunately, your lender has no obligation to remove someone from the responsibilities of a mortgage due to a divorce. Your lender does not have to abide by your divorce decree. Even if your spouse receives the house, you could still be liable for the mortgage. If one party wishes to keep the home, then refinancing the loan is your best option. This way, only the party who wishes to keep the home is on the mortgage and the other person’s credit is protected. What if the person who wants to keep the home cannot qualify for a loan on their own? The next best option then is to sell the home, and split the proceeds according to the divorce decree. What if you’re comfortable with your ex getting the house and making the mortgage payments? If this is the case, you can use a quitclaim deed to transfer ownership of the home to your former spouse. A quitclaim deed transfers the rights of ownership to another person, but does nothing else. A quitclaim deed does not protect your credit if the mortgage does not get paid, or your ex files for bankruptcy. What if you cannot afford to sell? If you want to sell your home but cannot afford to sell it because you are either underwater or don’t have enough equity to pay Realtor® and escrow fees, you may need to do a short sale. With a short sale you negotiate with the bank to sell the property for less than is owed. The good thing about short sales, is it’s possible to short sale your home and still buy another one. The important thing is that you keep making your payments. If you stop making your payments, this will eliminate any chance of being able to buy another home for several years. The word mortgage comes from old french and literally means “death pledge”. Your mortgage is said to be dead when the debt is paid or the loan agreement falls apart. Removing your name from a mortgage is difficult. In the case of joint tenancy, the process requires filing a Death of Joint Tenant. However, if you’ve inherited a house or working through a divorce, the process is less straightforward. The only sure fire way of keeping your home or removing your name from the mortgage is to refinance the home. Looking to sell an inherited home? We buy houses, as-is saving your from expensive repairs. Complete the form below for a free, no obligation, cash offer.